Last Friday, we had our meeting of the Board of Trustees of Pope St. John the XXIII National Seminary in Weston. We were very pleased to get the reports from the various committees that work so hard there and we were happy to congratulate them on the very successful Lawn Party which was held last month. We are so blessed to have an institution in the archdiocese that serves so many dioceses throughout the country. 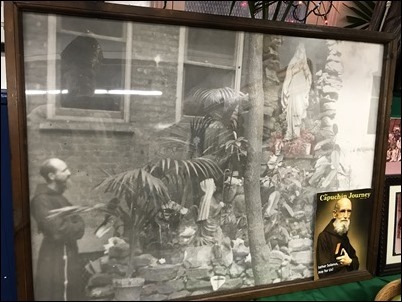 I have been bishop of four dioceses and, in every diocese where I have served, I have had excellent priests who were trained at Pope St. John XXIII. 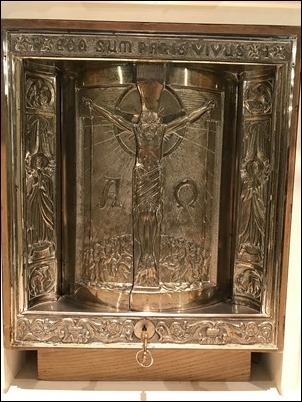 It really is a great treasure for the Church in Boston. 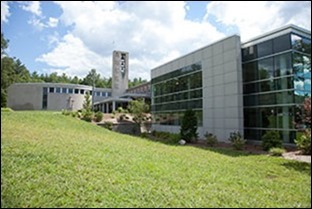 We are so grateful for the work that the Board of Trustees does in supporting the seminary, working closely with Father Brian Kiely and his staff. 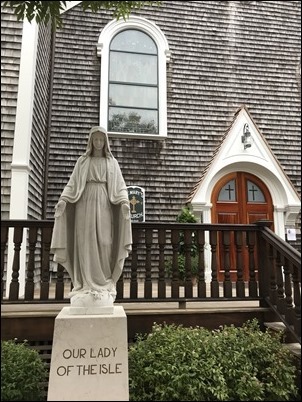 Saturday was a very busy day, which began with the wedding of my nephew at Our Lady of the Isle on Nantucket. 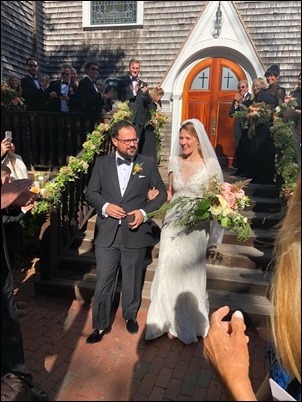 I celebrated the wedding of my nephew Nicholas who married a young woman named Amelia, whose family has a home on the island. My sister and many of my cousins were able to be there, so it was a wonderful family gathering. It was also good to see Father Tom Lopes who, although he is now living at the Medeiros House in Fall River, was taking care of the parish. Of course, he had been the pastor there when I was Bishop of Fall River, and it was so nice to see him again. 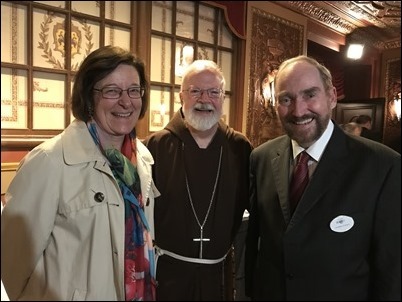 We had a beautiful celebration but, afterward, I very quickly went down to Brooklyn because that night I gave a talk for the Magnificat Day of Thanksgiving, which was held in King’s Theater, a magnificent auditorium. 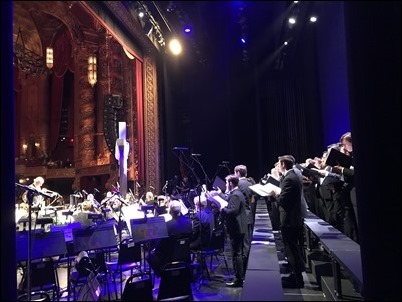 Magnificat is celebrating its 25th anniversary this year and they had about 4,000 participants in this Magnificat Day, which had quite a line-up of speakers and a wonderful music program. 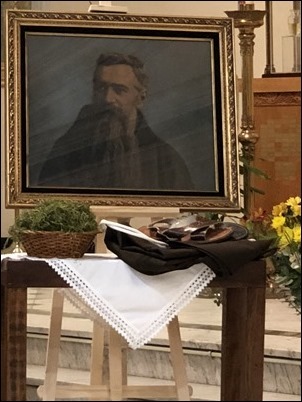 As I said in my address, Magnificat has really done so much to promote liturgical spirituality and uses the beauty of the liturgy as a way of helping to inspire people to deepen their life of faith. We are very grateful to the Montagne and Dumont families for all the support they have given to Magnificat in the United States. 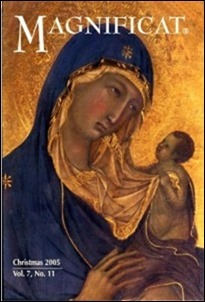 Father Peter John Cameron, who has been the American editor for so many years and will be retiring from that post, has done an extraordinary job of making Magnificat such a valuable publication for so many Catholics. 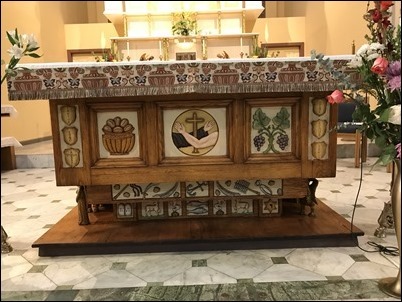 It has helped people’s spiritual lives and introduced them to the daily praying of the Liturgy of the Hours and a deeper understanding of liturgical spirituality. 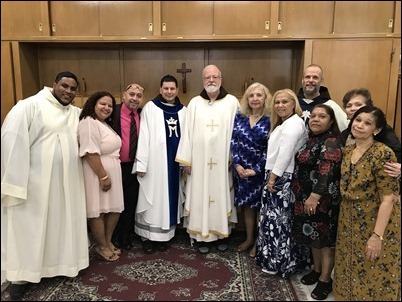 They have done a great service of the Church and so I was very happy to be a part of this special day. You can see from the introduction that my visit to New York coincided with the Red Sox-Yankees game in New York. I got a bit of a ribbing for being a Red Sox supporter, but we were all happy to see that the Red Sox eventually managed to vanquish their archrivals in the ALDS. 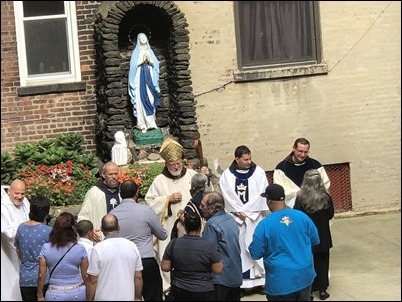 The next morning was the 150th-anniversary celebration of the Capuchin parish on the Lower East Side, Our Lady of Sorrows. 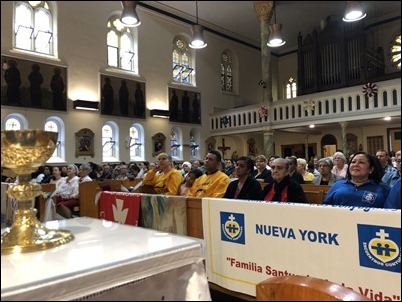 Since I was in New York for the Magnificat conference, I accepted their invitation to offer the Mass for the occasion. 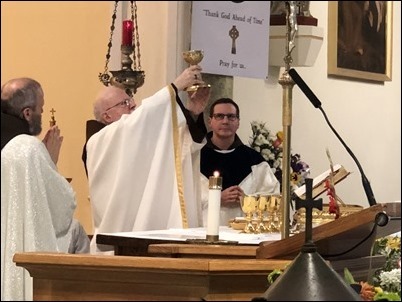 Father Thom McNamara and Father Mike Vricella are the two priests working there and the provincial of the New York province, Father Michael Greco, was also with us. 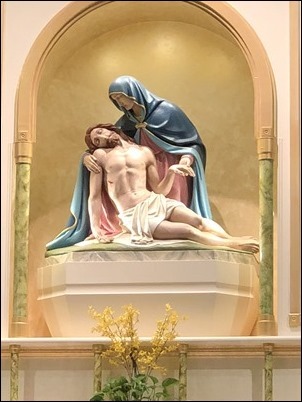 Our Lady of Sorrows is a very historic parish and the place where Father Solanus Casey was stationed for many years. 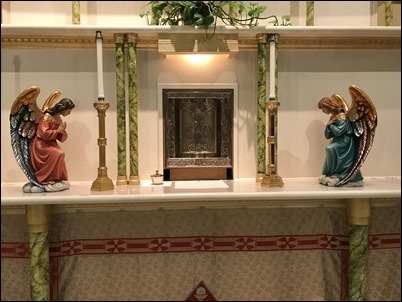 It was originally a German parish and the tabernacle was a gift of King Ludwig II of Bavaria, who was very generous in supporting German Catholic communities in the United States. 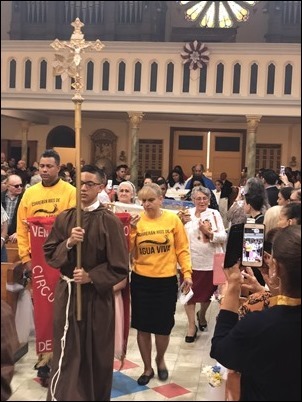 Today, it is mainly a Hispanic parish, with most people coming from Puerto Rico or the Dominican Republic, but also countries all over Latin America. 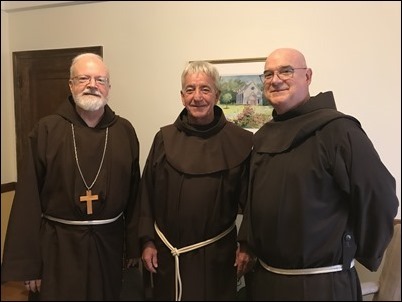 Then, earlier this week I had a meeting with Father Daniel Kenna and Father Tom Gallagher, Franciscan Friars of Holy Name Province who were here making a visitation to St. Anthony Shrine. They came to see me to discuss the ministry of the shrine and some of their plans for future projects. 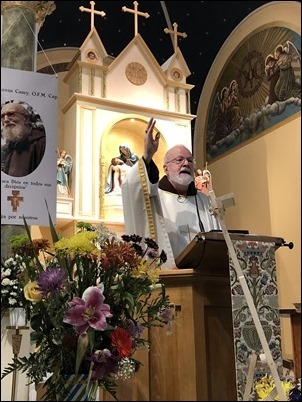 We are so blessed for the work of the friars at Arch Street, particularly for the availability of confession and their outreach to the poor that has been so much appreciated by the priests and people of Boston.